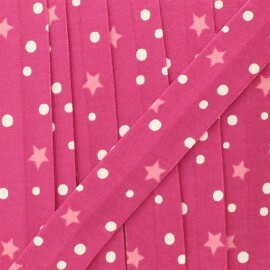 20 mm fuchsia jersey bias binding with star and dot pattern, ideal for a nice and unique selection. 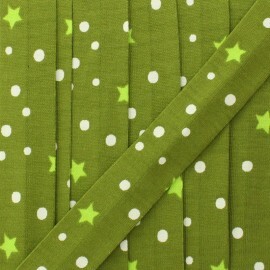 The brown jersey bias binding with green star and white dot pattern is ideal for many sewing projects. 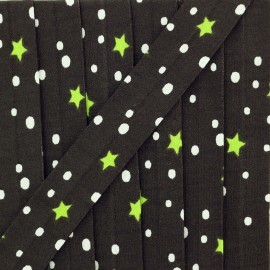 Star and Dot jersey bias binding will be suitable for pretty finishes, associated with an elastic fabric, in cotton jersey for example. 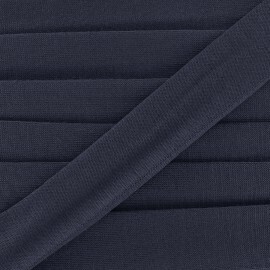 20 mm plain naval blue jersey bias binding : soft and stretchy, it is ideal to sew jersey fabrics! 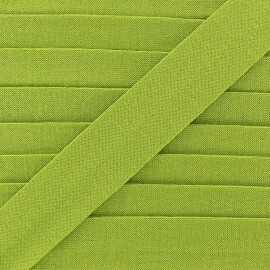 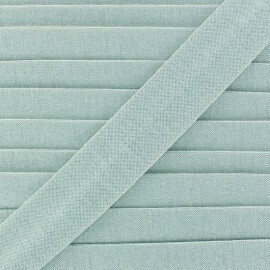 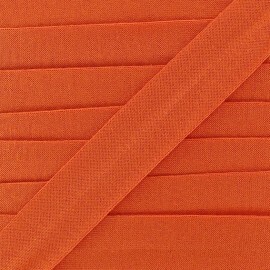 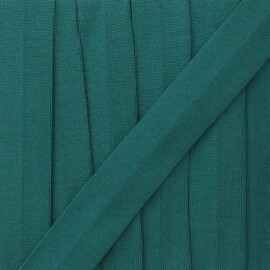 20 mm plain lagoon jersey bias binding : soft and stretchy, it is ideal to sew jersey fabrics! 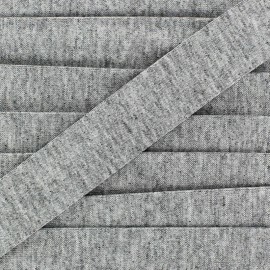 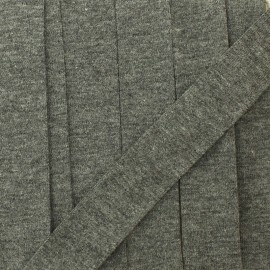 20 mm plain grey rock jersey bias binding, ideal to finish t-shirts, tops and accessories. 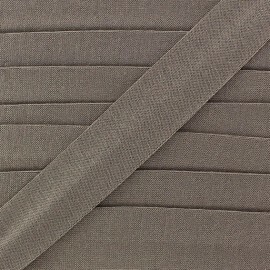 20 mm plain brown jersey bias binding, ideal to finish t-shirts, tops and accessories. 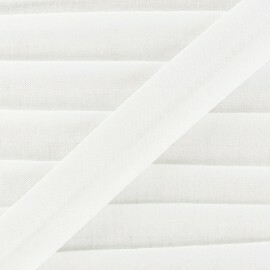 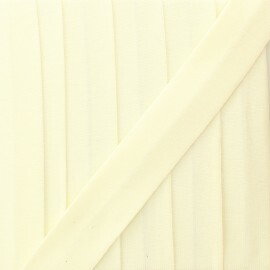 20 mm plain eggshell jersey bias binding, ideal to finish t-shirts, tops and accessories. 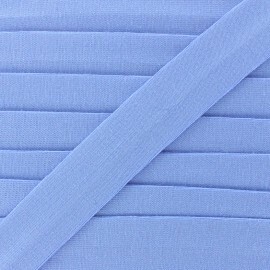 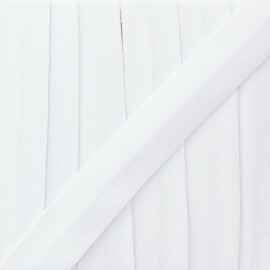 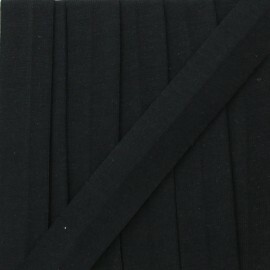 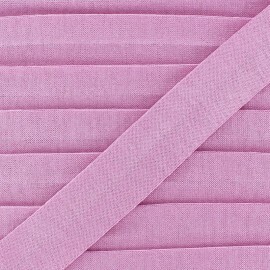 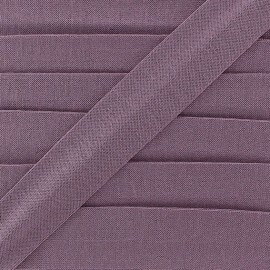 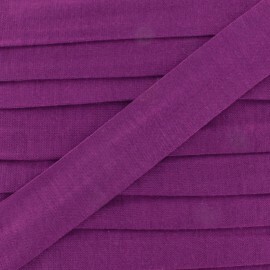 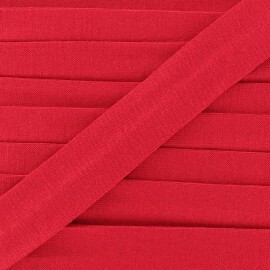 20 mm plain jersey bias binding, ideal to finish t-shirts, tops and accessories. 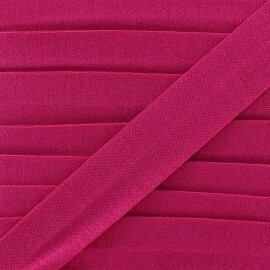 20 mm fuchsia jersey bias binding with star and dot pattern, ideal for a nice and unique selection. 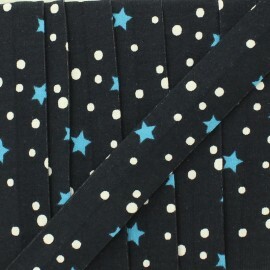 20 mm navy jersey bias binding with star and dot pattern, ideal for a nice and unique selection. 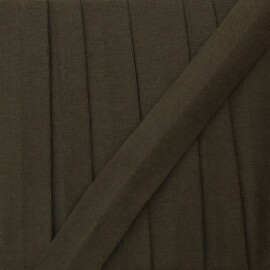 20 mm glittery military jersey bias binding in beige and gold, ideal for a nice and unique selection. 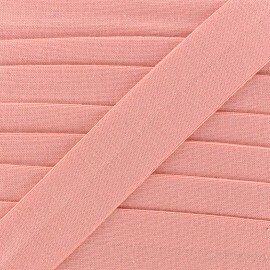 Find all the sewing material and our jersey fabrics to make the most beautiful creations. 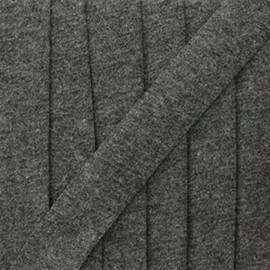 Plain jersey biais binding. 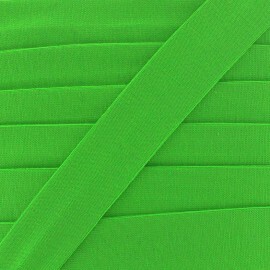 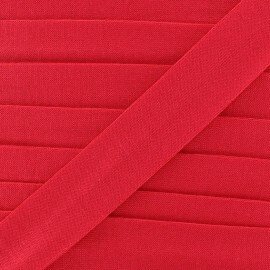 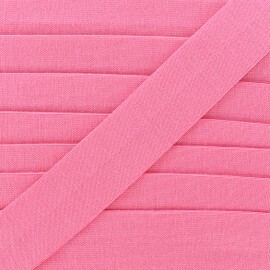 Supple and extensible, it is perfect to sew jersey fabrics.